Imam e Azam Ki Wasiyyaten Aur Naseehaten authored by Mufti Rasheed Ahmad Alvi. 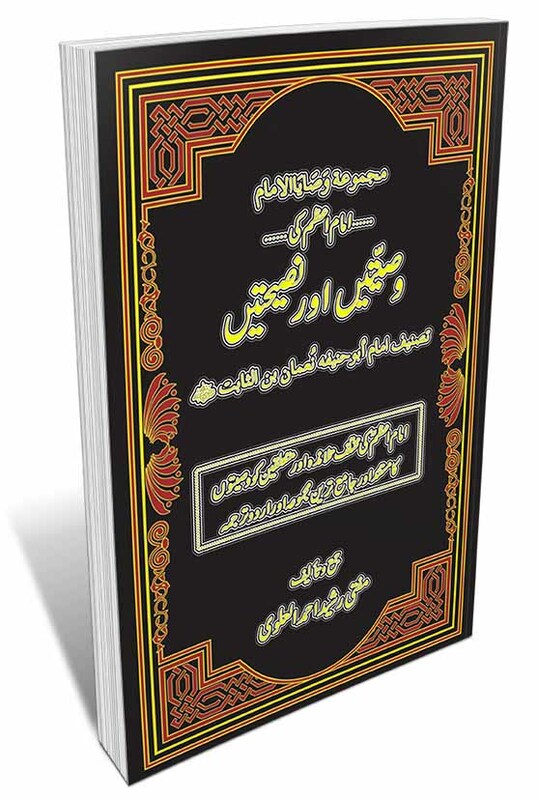 This book contains Advises, will and testament of Hazrat Imam e Azam Abu Hanifa r.a in Urdu language. Islamic Urdu book “Imam e Azam Ki Nasihaten” is now available here on Pakistan virtual library in high quality Pdf document for the study of our users. Check out the following links to read online or download the complete book in Pdf format and enjoy offline reading in your computer and smartphone.